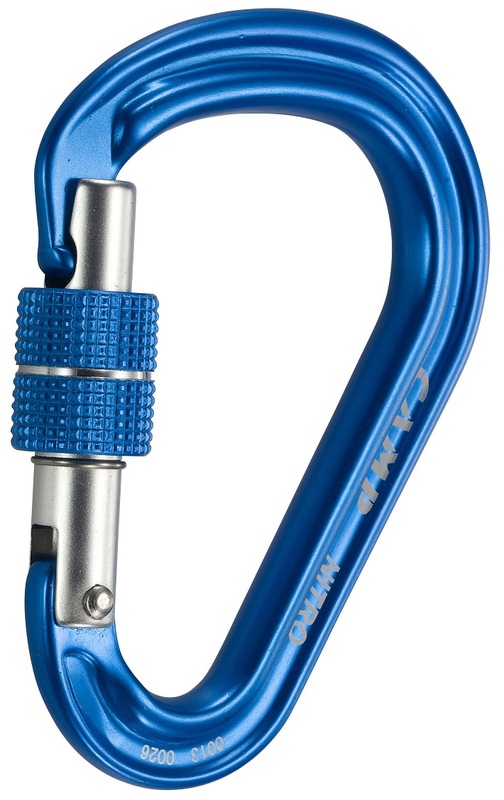 CAMP’s HMS Nitro Lock is among the lightest locking carabiners in the world and yet remains very strong and functional. The Nitro was shaped specifically to enable smooth Munter-hitching your way down a rope. With the huge, wide-open body there is plenty of clearance for just about any rope you can tie with the famed hitch. This means you can save weight by leaving behind your belay device. If you have a belay device, no problem; the HMS Nitro Lock also works great for the other things you typically do with a ‘biner. Keylock nose works well with belay devices and reduces the chance of a snag. Burly I-Beam construction is strong, very lightweight, and friendly to ropes. Bottom Line No rap device, no problem.